Born in 1983, Alessandro Pereira began his training at Galpao, first dance school in Sao Paul, Brazil. In 1999, he joined Lina Pentiado Dance Company and in 2000 danced with Bahia Ballet at Ballet do Teatro Castro Alves. In 2002, Alessandro Pereira moved to Austria to dance as a soloist with Tanz Graz. Later in 2003 he was engaged with the Ballet Theater München under the direction of Philip Taylor. He has had the opportunity to danced works by choreographers such as Carolyn Carson, Jiri Kylian and Richard Alston. Alessandro Pereira is the recipient of 2006 Bayerischen Kunstförderpreis for his work as an outstanding dancer. His choreography has been presented in the Young Choreographers program at the Gärtnerplatz Theater in Munich during the years of 2003 to 2007. In 2007 he created Crossing Silence for the New Danish Dance Theater in Copenhagen. He then went on to choreograph Absent for the Tanz Theater Braunschweig. His new work, Unintended for the New Danish Dance Theater, has premiered June, 2010 in Copenhagen. 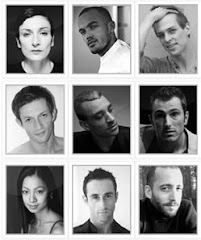 Alessandro Pereira is currently engaged as a dancer with the New Danish Dance Theater under the direction of Tim Rushton..